A few weeks ago we asked our Instagram followers for a volunteer to share their story about formula feeding. Emily responded immediately and we're so grateful for her honest perspective. Even though her story turned out differently than she originally anticipated, she handled it with grace, wisdom, and love. The result? Two happy, healthy, beautiful baby girls. Hi there, my name is Emily McClenagan. I’m from Austin, Texas but my husband and I are currently living in exile in Madison, Wisconsin (two words: polar vortex). 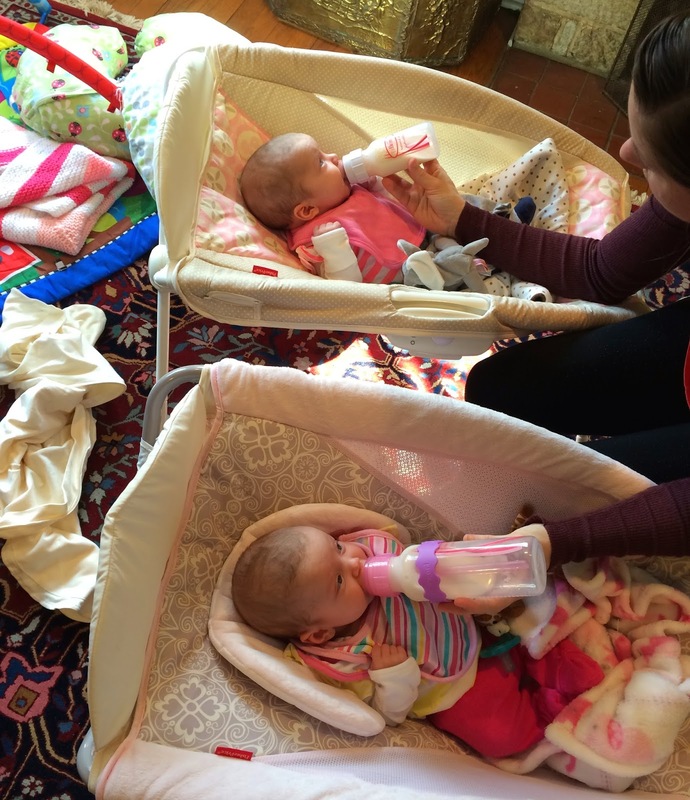 Thank you to Meredith and Amber for letting me share my experience with formula feeding! I appreciate them seeing the value in this topic for other twin mommas. I do not have a desire to defend formula as better than breast milk or vice versa. I just want to share my story and hope to encourage others. 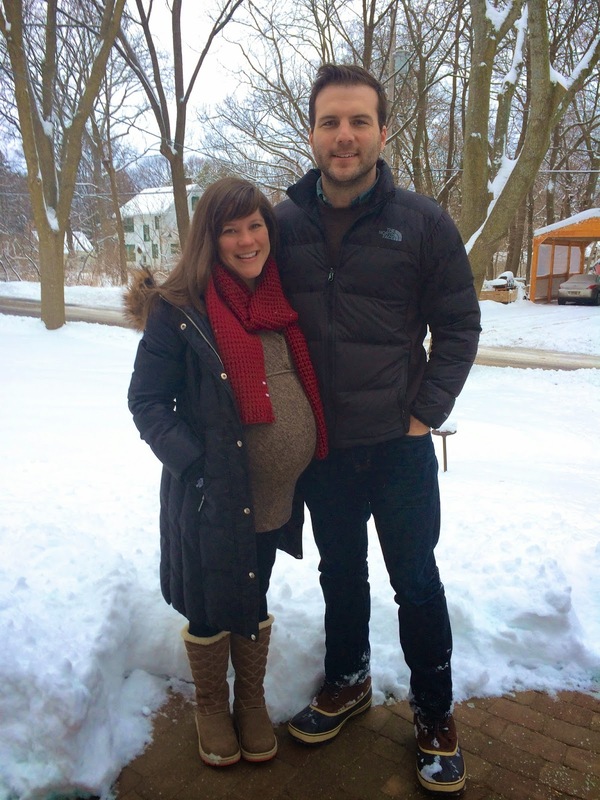 Maisie Pearl and Camille Jane entered the world on New Year’s Day, 2014 in Madison, Wisconsin where it was just four degrees above zero outside. The magical moment came when both babies were placed on my chest to do their instinctual thing, to breastfeed. But the latch never came. Everyone tried to help, but Maisie’s temperature was low and they needed to get her under the heat lamp. Oh well, I thought, we’ll try later. On day two, they suggested that we supplement. “It’s only until your supply comes in.” Five days and countless lactation consultants later (forcing a screaming four-pound Maisie and five-pound Camille did not work), my babies still weren’t latching. “You are doing everything right, but they just aren’t latching, pump to start your supply and attempt to breastfeed often.” The nurses seemed surprised I was only producing a total of 5-10mls every three hours but told me to keep it up. The first three and a half weeks at home I tried everything to produce a milk supply. Attempt to breastfeed, skin to skin, pump every three hours, pump every two hours, pump every hour for five minutes, herbal supplements, protein, veggies, gallons of water, warm wash cloth, Guinness beer, warm shower, massage, almonds, and don’t be stressed!!! Oh, and sleep because sleep produces milk. In your spare time, navigate the new waters of two tiny humans living in your home. I never produced more than two to three ounces in an entire day. Guilt. Embarrassment. What kind of mom was I? I needed to try harder! I couldn’t quit! Relying on my faith and support of those around me, I decided to work on giving up my fear and guilt, and trust that my babies would thrive on formula. This was my very first opportunity to practice this trust for the inevitable parenting situations when I do not have control. No amount of willpower was going to produce breast milk for two babies. When I accepted that, it was freeing. When I stopped pumping, I felt a burden lift. I was free to enjoy my babies. Free to sleep. It still took some time to process everything and believe that I did everything that I could, but each day got easier. Each night I slept better. Each morning brought more peace. This isn’t to say that formula feeding is a walk in the park. We have been through four different formulas to find the one that works for the girls tummies. We started on Similac Advance in the hospital and continued for a month. After that they developed sensitive tummies but not an official protein allergy, so our doctor first suggested the expensive Similac Alimentum for sensitivity to milk and soy protein. They refused it and I don’t blame them because it smelled like a haystack. Then we were deciding between Similac Sensitive and Similac Total Comfort. But our nurse had seen a lot of success with the Total Comfort so we’ve been on that since the beginning of March and it has been a game changer! Prior to this, they would scream after a feeding and we weren’t experiencing the “milk drunk” phenomenon. Now we have way too many hilarious pictures of our milk drunk babies. The only down side of Total Comfort is the powder does not mix super well, but I found that to be true of all of the sensitive formulas that we tried. The bonus is it’s available on Amazon Mom so we get a great discount in our monthly shipment. We were using two different brands of bottle warmers but became frustrated with their inconsistency in water temperature, and the burnt formula smell that could be used as a form of torture, so a bottle sitting in a hot cup of water worked better even though it still could overheat. Most recently we purchased the “Baby Brezza Formula Pro,” basically a Keurig for babies. It mixes the powder and water to 98 degrees at the ounce size of your choosing in 10 seconds. It sounded too good to be true. I thought was a joke, but that joke is the greatest thing that happened to our household! It was $130 at Target after a coupon. I almost didn't buy it because of a few scary reviews on Amazon. Some reviewers said it would dispense inaccurately and subsequently made their baby cry for hours on end. I did a lot of test runs with the machine and realized quickly that the "measuring insert" can build up formula which would cause problems if left alone. It's a ten second fix to avoid this! After each use simply remove the funnel and brush off the measuring insert. Overall it’s great for multiples, ESPECIALLY in those early days when the baby cannot wait for a bottle to be made. For us this means no more prepping bottles in advance and no more bottle warmers. In our house when it comes to twins, convenience is king. My only regret is not buying it sooner! Now that I'm in the formula world I see the messages that are sent to moms, some innocently and some not. I wish that moms wouldn’t feel like the “f” word means they are less of a mom and that the phrase “formula fed baby” wasn’t said with a sympathetic and concerned tone. There’s a healthy balance to educating on the benefits of breast milk without needing to scare moms like me into thinking that formula is poison. It’s not. The first few days that I fed my babies a bottle of formula outside of the hospital I had tears in my eyes thinking I was poisoning them. And that’s just silly. No mom should feel that. If I would have produced a milk supply, would I have breastfed? Of course! Do I personally believe breast milk is preferable over formula? Personally yes. Should moms feel guilt, fear, and embarrassment if they formula feed by choice or by circumstance? A RESOUNDING NO. At the end of the day, after finishing their last meal and rocking them to sleep, I reflect on the long day and am at peace with the choice I made, trusting them ultimately to their Creator. Maisie and Camille are smiling, cooing, grasping, and growing into adorable twin girls and I couldn’t be more thankful. Do you have questions about formula feeding? Emily has graciously offered to help! CLICK HERE to contact her! I have almost the exact same story! 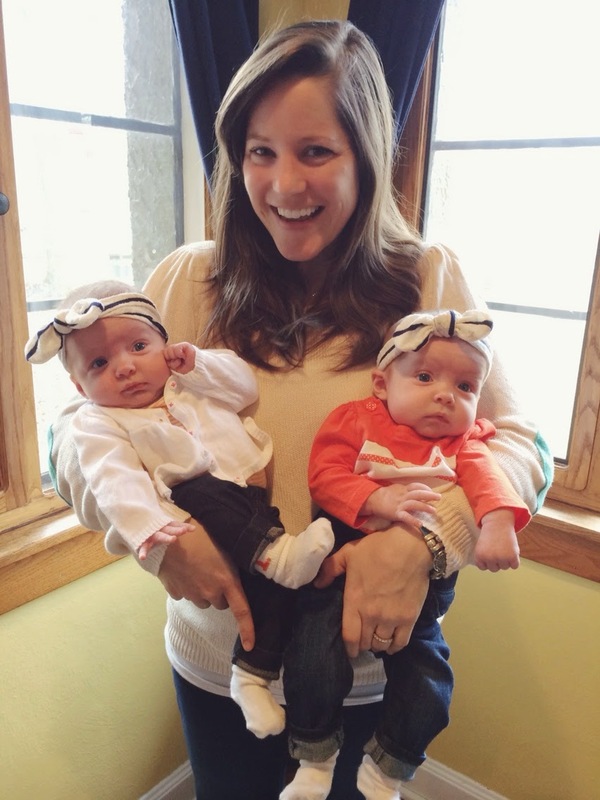 My identical girls were born on Valentine's Day this year and I am also living in exile (Madison, Wisconsin)! The guilt and "poor you" tone others place upon you is undeserving and wrong. We feel enough guilt ourselves as moms trying our best. I also shed a lot of tears about formula feeding my girls (after all, I was "artificially feeding" my babies - the things people say). But my girls have grown well from the start and couldn't be happier or healthier. And studies have now come out saying that a lot of the myths about formula feeding your babies (i.e. lower IQ, slower development, etc.) have now been debunked because it is more associated with moms who typically formula feed are moms who work and aren't in the home with their babies as often and that plays more of a part than what you feed them. Realizing that everyone is just doing their best is what we all need to do. Thanks for sharing! This was an amazingly refreshing story. I wasn't able to breastfeed my daughter for the same reasons and it was so devastating! I just really appreciate your heart and perspective on it. I'm now expecting twins and a bit nervous that I will have the same trouble this time and I'm REALLY REALLY REALLY hoping that I don't because, let's be honest, formula is EXPENSIVE and I don't want to have to pay for it for two babies. (Among the many other reasons that I want to breastfeed, of course!) But still, if I do, I really appreciated reading this article and the perspective that you shared! I tried desperately to breastfeed by baby (I only had 1) and she started losing weight at 8 weeks. I just didn't make enough milk, period. Despite knowing it was illogical, I still felt guilty. I pumped for another 4 months producing maybe 4 oz a day on average. It was torture. It was so freeing once I accepted I had done my best and what was best was formula for my baby. She is happy, healthy and 22lb at 8.5 months! I think people are so dead set on encouraging breastfeeding that it can easily make those of us who desperately want to but cannot for whatever reason feel like failures...thank you for sharing your story! Emily and Emily- Madison must be twin capital this year! I also live here with twin girls born this January. I could have written this!! My boys are 4 months old now and when they were born i did everything i could...and still only made 1-2oz in an entire day. Barely enough for one bottle for ONE baby. How the heck was i ever going to feed two babies? All of my other children were formula fed, but i wanted to breastfeed these guys since A) They were my last pregnancy and B) the thought of buying all that formula made me have visions of eating ramen noodles for the rest of my life! But, here we are, on formula... two different kinds of formula (Leave it to me to have high maintenance little men) HA! Emily, you have no idea how much hope and encouragement your story has given me at a time when I am feeling like I have failed my twin girls. I am ready to give formula a chance! Thank you for sharing your story. Also, coincidentally, my given name is Camille; so I am taking your family's story as a Divine sign that everything is how it should be! Camille - love your name! ;) thank you for your comment and I know you are fighting to give your twins the best I know you're a great mom! Now that my twins are 12 months old with just 3 weeks of breast milk I can even more confidently say it was the best decision. Your twins will thrive on formula! Will be thinking of you and I hope your story can encourage a new mom a year from now.